Leaking seams on a camping trailer can result in the growth of mold. Cleaning may not be enough. Depending on the extent of the mold growth and other possible water damage, you may need to gut and refinish the interior. 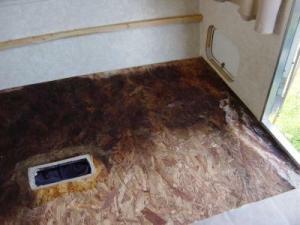 This is a guide about removing mold in a camping trailer. I have a 98 Jayco that I stored outside and didn't use for two seasons. This weekend found it loaded with mold and several spots where it leaked. Apparently the middle seam on the roof leaked as well as the corners Also the molding pulled away on the corner by the tail light probably from ice. I think the caulk gave way under the roof moulding. We cleaned the mildew on the inside canvas with Lysol but it still is stained and looks bad. I really like the camper and have taken good care of it until now. Even thought of trading it for a hard side because of this problem. Any help would be appreciated. I have it opened up in the garage now and plan to pull the molding if I can figure out how it goes together. I can't keep it in the garage forever. There are commercial mildew remover agents that are stronger than Lysol that may take off more of the mold. After that, your best bet is to mask off everything with newpapers and masking tape, buy some fabric spray paint to match as close as possible and spray your canvas. Also, in the future, you should remember to take the time to recaulk your camper every year. In addition, every year, it is a good idea to recoat the exterior of your canvas with Thompson's all surface water seal. Painting over mold ain't gonna get it. Mold is a living thing. And once it takes over it is VERY difficult to get rid of it without gutting everything. That would be my suggestion, gut the inside totally. Mold is a hazardous situation. I have asthma and allergies and mold is deadly to me! Some people it does not bother but for most people,after being exposed to it, become sensitive to it. There was a school is S.C. that had severe mold. It was so bad a team came in with HAZMAT suits on to rip it all out! We just got finished dealing with the same problem as you! What a mess. We started noticing a soft spot in the floor around the door. We started to take the vinyl flooring up to explore the damage and it was unbelievable! The caulk had also failed in the same place as yours along with the door. Our camper is a 2003. We had caulked it last year but it didn't hold up through the winter. Sorry to say, we ended up having to take the inside apart. Took out the built in couch, side tables and one side of the dining area seating. The entire wood floor was black, wet and mushy. My husband cut all the damaged flooring out. Only to find that we needed to replace the insulation too. It was wet. We opened it up and let it dry out for days after removing all the damaged materials. He put in new insulation, new sub flooring and we bought a Berber carpet to put down in place of the damaged vinyl flooring. Mainly because we didn't want two different floorings since you can't match the pattern. I LOVE the new and improved camper. The carpet looks really nice. It's super caulked every where. The repair wasn't that costly since my husband did the labor. It was a hard job for him since we felt the same way as you. How are these things built? It was a learning experience that I never want to have to do again. Oh, and our insurance company wouldn't cover it. They said if a tree fell on it and it leaked they would but since it was just a leak they won't. There is a great popup site at http://www.popupexplorer.com . Do a search there and you'll come up with all kinds of old posts with great ideas. 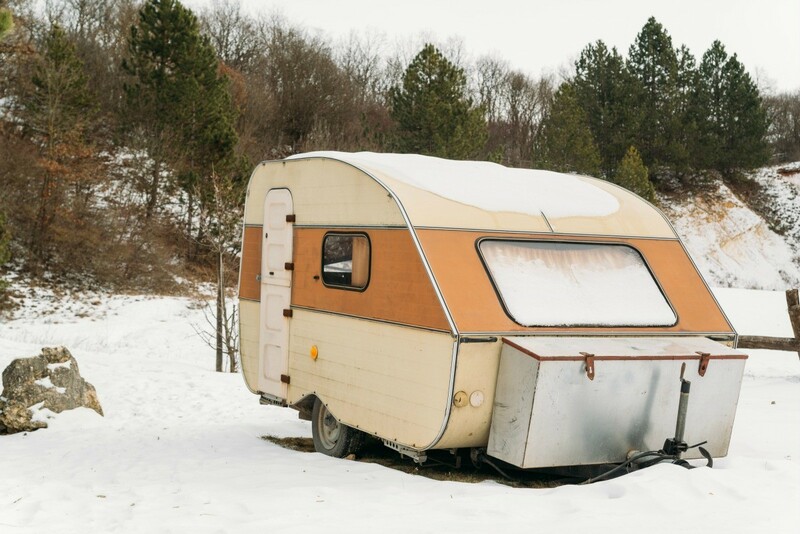 Unfortunately your problem isn't uncommon with popup trailers.